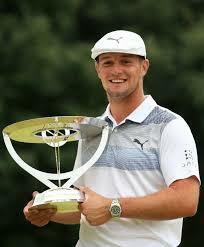 Bryson DeChambeau, de sólo 24 años, gana el Northern Trust Championship, el primer torneo de los "play-offs" del PGA Tour para su tercer título de este circuito en 13 meses. Lo notable de DeChambeau es su enfoque totalmente técnico, físico y anti convencional para enfrentar este juego. Si uno mete en el buscador de Google las palabras DeChambeau y Golf Mental.......sale.....exactamente NADA !!!!! Es que desde muy pequeño, Bryson era un genio de las matemáticas que estudió, y se recibió, en Física de la Universidad. Con su coach de swing de años, Mike Schy, se han dedicado a aplicar métodos de física avanzada al swing de golf. Desde los palos de un sólo largo, hasta la experimentación con el estilo de putt tipo "croquet" y el estudio de libros de swing muy de la física ("The Golfing Machine", primordialmente), DeChambeau y su coach han construido un swing de "un sólo plano" y un golpe de putt (ahora golpea el putt con el putt enganchado en el antebrazo izquierdo.....tipo Matt Kuchar), eminentemente repetible y confiable. Hace aproximadamente un año, la revista Golf Digest publicó un artículo llamado "The 11 most unusual things about Bryson DeChambeau" que bien merece ser leido, por lo que adjunto el link respectivo. 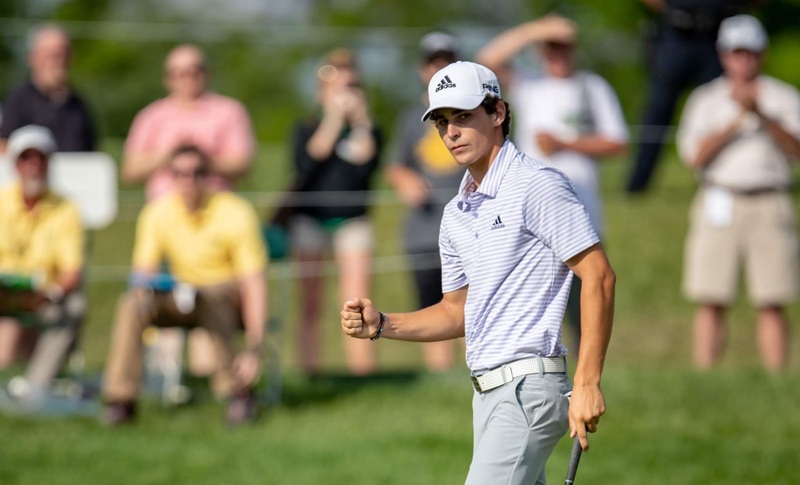 Tuvo una carrera amateur brillante y es uno de los 5 golfistas que han ganado el US Amateur y el título NCAA el mismo año. En su momento fue mejor amateur en el Masters y segundo, como amateur, en un Abierto de Australia. Pocos trabajan en su swing más que Bryson de Chambeau y es el que, casi siempre, cierra la cancha de práctica en las noches durante las rondas de juego de los torneos PGA Tour. De una intensidad y capacidad de práctica notables, admira y usa el gorro de su ídolo Ben Hogan, otro fanático del swing de golf ideal y de la práctica intensiva en el driving range. Debo confesar que, yo, que creo más en la importancia Mental del golf que en la parte más técnica, no le tenía mucha fé a Bryson de Chambeau. Especialmente después de las comentadas y documentadas "pataletas" de Bryson en la cancha de práctica del British Open 2018, y de su tremenda "arrugada" posterior en el Open Francés donde regaló el título con dos bogeys y un triple en sus cuatro hoyos finales. Este último resultado lo dejó fuera del equipo de EEUU para la próxima Ryder Cup por poquísimos puntos y, yo, honestamente, nunca pensé que se podía recuperar tan rápido de ese par de decepciones. Pero, me equivoqué y ahora vuelve en gloria y majestad y pone en problemas al Capitán, Jim Furyk, quien aun tiene cuatro cupos "a dedo" para completar su escuadra de 12 jugadores. ¿ Podrá seguir en la cima del golf mundial este Bryson DeChambeau que ha sorprendido tanto con su enfoque físico y técnico ? El conocido Coach Mental de golf, Gio Valiante opina que sí, en los siguientes términos. Bryson es una persona brillante que desde muy joven ha trabajado dura e intensamente en su enfoque técnico y físico del juego. Lo ha hecho por tanto tiempo, y con tal dedicación, que sí puede tener éxito en el largo plazo. Es un tema de trabajo y confianza. Tal como Ben Hogan y VJ Singh........lo que les daba la confianza era su tremando o intenso trabajo y práctica........y en Chile tenemos un gran ejemplo de lo mismo.......el gran Felipe Taverne que adquiría su confianza con altísimo volumen de practica. Va a ser muy interesante seguir la trayectoria de este brillante.....y temperamental.....Bryson DeChambeau en los próximos meses y años. Today, August 28, 2018, would have been our dear Mum´s 100´th birthday. Anthony and I remember her very frequently and with much love because we owe her so much. She gave everything for us, and as time goes by, our appreciation for her kindness, sacrifice and love towards us, her "boys", only grows. In Chile we use the phrase "Madre hay una sóla" ("Mother, there is only one") and, as today is a very special day, we will remember and honour Mum by together attending a musical (Follies, presented by The British Commonwealth Society) and afterwards we will celebrate her memory with a couple of drinks. We also remembered her last Sunday, the 26th, by playing, together, the Copa Hermanos doubles golf tournament ( greensome) at her beloved Prince of Wales Country Club. We shot an excellent 65 for a most acceptable second place net (and 77, gross. for a very reasonable top ten result). Oriana (Ory) Mary Cooper Gubbins (1918-1993). "Our mother Ory was born in Talcahuano, Chile, being the 3rd of six sisters for a total of nine siblings. She was home schooled except for a brief stint in a catholic school where she was told that all non catholics would go to hell, but owing to the fact that she was an Anglican, not so far in! She excelled at sport, showing a keen competitive spirit. 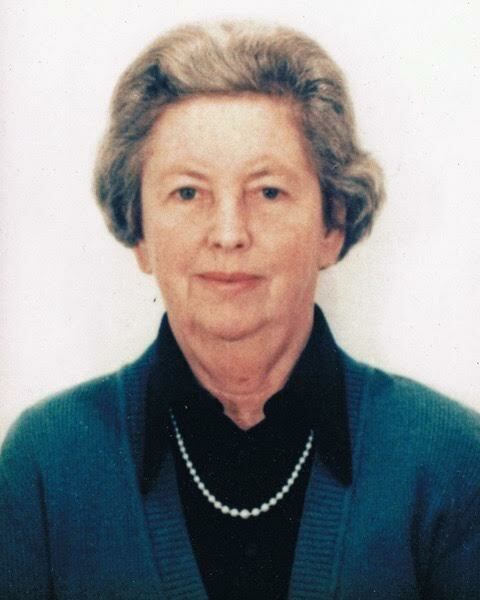 After some years she emigrated to Santiago where she became a secretary for a British company. On the outbreak of World War II she followed other Anglo Chileans and most of her siblings as a volunteer to the Allied armed forces and sailed off to Great Britain where she was received by her numerous Cooper/Gubbins relatives. She proceeded to join the W.A.A.F. where she trained to be a radio technician and served repairing fighter pilots’ radios while they waited to take off for repeated sorties or air battles. After several months of doing this, she opted for a change and became a meteorologist, generating live time reports for the fighter pilots at an airbase whose name we do not remember. Many times a prediction of the wind’s direction was important in order to line up planes on the ground and she took it very hard when her predictions were not right on the mark, showing a trait of character that contributed to a very successful post war professional life. She once told us about how some new Anglo Chilean volunteer from Chile had boarded for a week with relatives in London with whom she was staying and had promptly spread a week’s worth of butter ration on his toast while everyone looked on with typical English politeness! She also told us about how they had to cope with the loss of young pilots who they may have had a drink with the night before in the pub or have waved to as they took off for battle and who never came back. They would ask the returning pilots about the missing one and the answer would be a simple “He bought it over...” and that was that, having learned to swallow their grief and to move on with the job. Her most devastating blow was the loss of her brother Tommy who “Bought it” over the English channel during a dawn raid in a Mosquito fighter on a German airbase on the french coast. His body was never found. At some point in time, she was granted leave and travelled to Ireland with her sister Joan where they visited relatives who received them like royalty. She would often remark that Ireland was one of the most beautiful places that she had ever visited. In one of her visits to South America House she caught a glimpse of a seasoned army officer sitting at the bar and asked her companion who he was. “That’s Leslie Cook from Viña del Mar just back from four years in Burma fighting the Japanese” was her friend’s answer. Little did our mother suspect at the time that she would later meet him at a hockey match back in Chile after the war and proceed to marry him and have us, their children!. 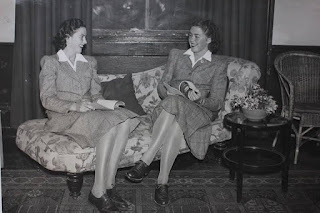 Back in Chile and having married Leslie, Ory continued to work as a secretary for FAO (the UN Food and Agriculture Organization), but due to her excellent command of English she was often asked to translate documents from Spanish into English. This led her to sit the very difficult UN international translator’s exam which she passed in spite of never having been tutored in French and to taking up a post as international translator for ECLA (“CEPAL”) or ECONOMIC COMMISSION FOR LATIN AMERICA. This change in status helped greatly in the tumultuous political years ahead and also financially. 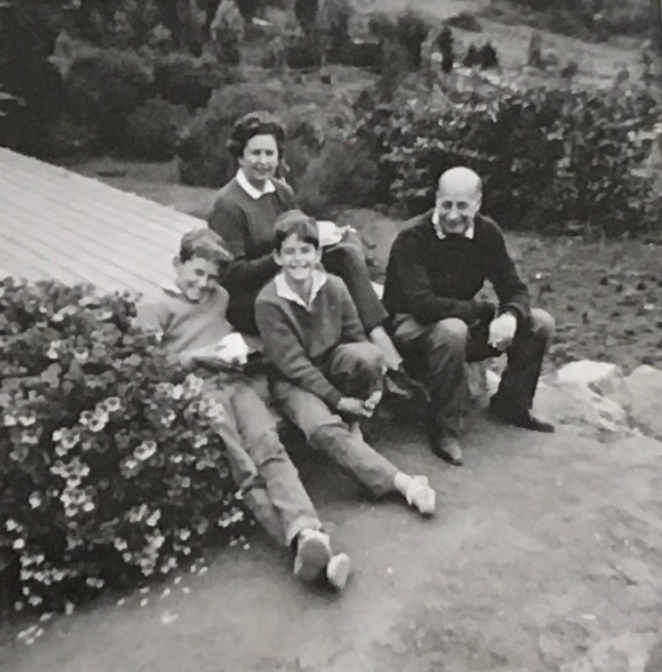 The subsequent years were spent going happily practically every weekend to our seaside home in Cachagua where our parents had many friends and enjoyed nine holes of golf whenever possible on the very picturesque course there. Our mother was very close to her brothers and sisters and the early deaths of Tommy and Brian were particularly hard on her; also Cynthia’s emigration to Australia in the late 60s was a sad occasion. Fortunately Gerald, and Ruth remained in Santiago and there were frequent happy family reunions in each others houses, specially surrounding visiting family from abroad such as sisters Evelyn, Joan, Doris and Cynthia, often with their respective children, our dear cousins.". Today on your 100´th birthday we thank you, dear Mum, for everything you did for us !!!!. We owe you so much !!! 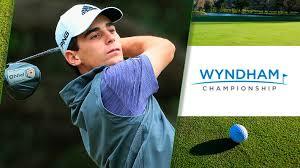 Ayer finalizó, con el WYNDHAM Championship, la inédita y espectacular campaña de Joaco Niemann en el PGA Tour temporada 2017/2018. Simplemente notable son las estadísticas y rankings logrados por Niemann en estos 14 torneos (incluyendo el Masters jugado como amateur), algunos de los cuales presento más abajo. Pero, y resumidamente.......Joaquín logró la hazaña de obtener su tarjeta PGA Tour "full" para la temporada 2018/2019 al terminar en el lugar 103, equivalente, en el ranking puntos FEDEX, a pesar de jugar muy pocos torneos como profesional. Logró cuatro top ten, y se codea en lo más alto de las estadísticas y rankings del ciruito, y hoy, con sólo 19 años, es reconocido por todos en la cima del golf mundial como la gran promesa del futuro cercano. 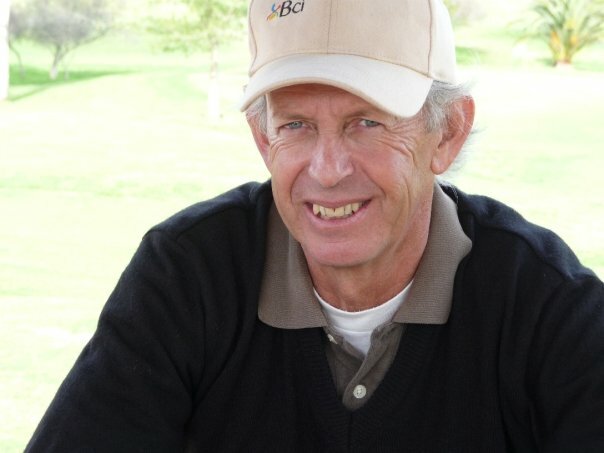 Como periodista (muy) amateur, pero fanático del golf de toda la vida, en estos casi 15 meses he escrito en este BLOG 15 artículos sobre Joaquín Niemann y su golf. Todos en Chile sabíamos que venía subiendo, como la espuma, un juvenil que era Nº1 del mundo, pero el tema acaparó mi atención "full" cuando, algunos meses antes, mi amigo Tom Almojuela, gran golfista nacido en EEUU, me dijo que había jugado en Las Araucarias con un joven llamado Niemann, y que nunca había visto a alguien mejor para el golf, y que, en su opinión, estaría perdiendo el tiempo en el circuito universitario norteamericano. Talento natural, capacidad de trabajo y fortaleza mental, fue lo que me resumió Jorge esa noche. Y, lo que he hecho, feliz, en los 15 artículos es contar mis impresiones personales sobre este tremendo golfista y lo que ha logrado en estos ultimos 15 meses. Todo parte cuando Joaquín alcanza, siendo aún juvenil, para los efectos del golf, en Mayo de 2017, el Nº 1 del ranking amateur mundial. Al poco tiempo, la primera semana de Junio escribo mi primer BLOG sobre la épica clasificación de JOACO al US OPEN 2017, y me acuerdo haberme sorprendido por la tremenda confianza que le tenía su Equipo cuando Jorge Niemann twiteó antes de los 36 hoyos de la clasificatorio: "Joaco a 36 hoyos de su primer torneo PGA". Me parece que en ese mismo artículo recojo los dichos del caddie Todd Timmerman. en un artículo de Mayo de ese año en GOLFWEEK, sobre la futura grandeza de Joaquín. 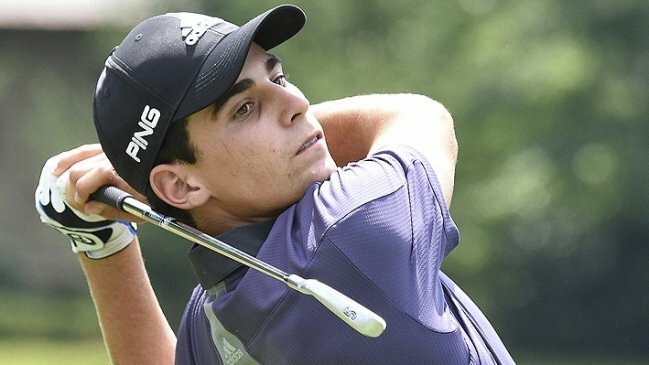 Timmerman le llevó los palos a Joaco, al menos en dos ocasiones, en los torneos para juveniles de Sergio García y pronosticó: "La primera vez que lo vi jugar, ya supe de lo que era capaz"......."En este juego, algunos "la tienen" y otras personas simplemente juegan, y Joaquín "la tiene",.........Van a ver a Joaquín hacer muchas cosas, les prometo eso". A continuación Joaco jugó el Greenbrier Classic del PGA Tour y hace el corte, finalizando ese torneo con un notable 64. En seguida no tuvo fortuna en el US Amateur (Agosto 2017) al encontrarse, a pesar de su buen juego en la clasificación medal, con un golfista de menor ranking pero tremendamente encendido. Pero se cobra una rápida revancha, al mes siguiente, ganando el Abierto de Brisas de Chicureo, de Santiago de Chile, (profesionales incluidos), por un sólo golpe, con un fabuloso eagle 3 en el complicadísimo hoyo final. Termina la temporada amateur de 2017 como Nº 1 del mundo y gana la prestigiosa medalla Mark McCormick que reconoce al mejor del mundo. Por ese entonces, GOLFWEEK empezó a comentar que Niemann ya no iría a la Universidad de Florida del Sur, ese mes de Septiembre, como estaba planificado. Por un tema con su puntaje con el TOEFL, prueba de suficiencia en Inglés que requerían algunas universidades........y decían que Joaco y su Equipo estaban contemplando ir directamente al profesionalismo. Me acordé de los dichos de Tom Almojuela respecto a que Joaco no debía ir a la Universidad.......y de lo que me contó mi amigo Michael Hardy, Director del Prince of Wales Country Club, quien se encontró en el Masters de ese año con un Niemann, como espectador, y acompañante de su amigo Toto Gana, en una tribuna de Augusta National. La pregunta de Hardy a Niemann fue algo así como: "Qué quieres estudiar en SFU ? "......y la respuesta de Joaco fue algo así como: "Lo menos posible.....quiero jugar mucho golf". Lo que sucedió con ese examen TOEFL fue providencial.......Niemann en ese minuto tomó la decisión de ir cuanto antes al profesionalismo. Sin embargo estaba el LAAC (Latin American Amateur Championship) de Enero 2018, con su pasaje al Masters de Augusta 2018, y se jugaba en una cancha muy conocida para Joaco, los links del Prince of Wales Country Club de Santiago, de Chile. 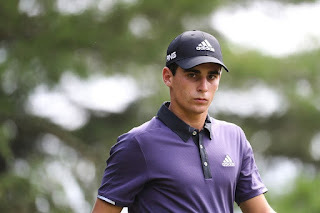 Con todo lo ya visto más arriba era obvio que Joaquín tenía una gran chance de ganar ese torneo y de volver a Augusta National, esta vez como competidor, y cerrar su brillante carrera amateur en lo que él considera como el mejor torneo del mundo, por lo que postergó su paso inmediato al profesionalismo. Y así fue como se dio, cuando en Enero 2018, arrasa en el LAAC, gana su invitación al Masters y se cobra revancha del play off que le ganó Toto Gana el año anterior. Pero antes, en Diciembre 2017, Joaquín aprovechó el status de Nº 1 del ranking amateur para jugar, como amateur, la Q School (clasificatoria) del tour WEB.com......consiguiendo una membrecía condicional, en ese tour, segunda división del PGA Tour, para cuando se hiciera profesional. Hasta ese momento yo había visto jugar muy poco a Joaco. Hace mucho tiempo que yo no participaba en Abiertos y estaba volviendo después de un año "parado" por una lesión al hombro. Y me hice el propósito de verlo jugar, lo más posible, en el Abierto de Cachagua de la segunda semana de Enero 2018 y en el LAAC del Country Club, el mismo mes. En Cachagua, lo seguí los segundos nueve hoyos del segundo día completos. Me impresionó que, a pesar de estar recien saliendo de una amigdalitis. lo largo y derecho que le pegó al drive y su capacidad de dejarla cerca del hoyo con sus fierros intermedios y cortos. Bueno.......lo mismo vi en el Country con rondas sensacionales el segundo y último día para coronar con éxito la apuesta de postergar la entrada al profesionalismo e ir al Masters. Joaquín se hace profesional la semana siguiente al Masters, se consigue las siete invitaciones que contempla el reglamento del Special Temporary Membership del PGA Tour y comienza a deslumbrar a la cima del golf mundial. Al poco rato se gana el Special Temporary Membership y puede acceder a invitaciones ilimitadas.......y, hoy, finalizada la temporada regular 2017/2018 es oficialmente miembro del PGA Tour con tarjeta full para la próxima temporada, lo que es clave, ya que puede Joaco, con su Equipo, elegir los torneos que desea jugar......y cuando descansar. Y, los invito a todos, y, en especial a los que aún no se convencen de que esta es una hazaña de marca mundial, revisar las estadísticas y rankings de fin de temporada de Joaco, ahora disponibles en la sección de estadísticas del PGATour. Cada ranking por estadística contempla la totalidad de los 200+ golfistas profesionales de elite que han competido durante toda la temporada. Y les recomiendo revisar, y disfrutar, lo alto que está Niemann en la mayoría de los rankings clave y observar quienes están más arriba........y casi siempre.....debajo de él. Bueno, numeros extraordinarios, sin duda. Vale la pena hacer click en los links en cada estadística.......para revisar quienes son los próceres arriba y casi siempre abajo de Niemann. Son decenas de estadísticas y rankings disponibles para el analisis. Creo que en este momento de celebración y felicitación por lo logrado por Joaco...... lo que correspondía era destacar algunas de las mejores. A disfrutarlas, digo yo !!!! Sin duda que hay algunas estadísticas no tan favorables y ya será el mismo Joaquín y su Equipo que las analizarán y tomarán las decisiones de como mejorarlas y donde poner el énfasis. Por mi parte, sólo felicitar una vez más a Joaco (ahora entendemos super bien el apodo JOAKING!!! )......y a todo su EQUIPO, y muy en especial a Eduardo Miquel y los miembros de EM ACADEMY..
Y agradecerle por estos meses tan entretenidos para mí y para todos los golfistas Chilenos que hemos gozado siguiendo sus logros. A celebrar !!!!! !.....y a disfrutar las vacaciones y este increible momento. El deporte de Estados Unidos está repleto de estadísticas que pretenden explicar con todo tipo de detalle el performance de jugadores y equipos. El golf no es la excepción y el PGA Tour, desde siempre, ha confecciónado estadísticas y rankings que son de mucho interés para jugadores, entrenadores, periodistas y público en general. 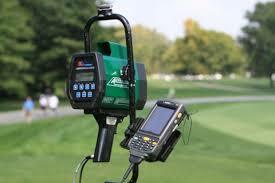 Por años se utilizaron estadísticas tradicionales y de relativa fácil comprensión como son Distancia desde el tee, Drives en el fairway, Greenes en regulación, salvadas desde el bunker, promedio de putts y muchas otras. Sin embargo, desde hace unos veinte años existe la tecnología laser conocida como el sistema SHOTLINK, hoy operada y soportada por la compañía de tecnología CDW, que ha permitido la incorporación, a través del tiempo, de estadísticas mucho más sofisticadas, "puras" y "duras", conocidas como "Strokes Gained/(lost)", o en Castellano, "Golpes Ganados/(perdidos)". Tratemos de explicar con el máximo de simplicidad el concepto "Strokes Gained (lost)" de SHOTLINK del PGA Tour y que cada vez tiene una importancia relativa mayor para el mundo del golf de elite. Son, lo que yo llamo, las estadísticas "duras" del Tour y que ayudan a aislar y comprender, de mejor forma, el performance de cada golfista del circuito. La pregunta obvia es "Golpes Ganados/(Perdidos)" respecto a qué?. La respuesta simple es respecto a un estándard, "baseline" o promedio histórico, confeccionado tomando en cuenta mediciones exactas de tiros y putts que conforman una base de datos alimentada desde hace muchos años. Y respecto, también, de un ajuste que se hace según el grado de dificultad de la cancha en que se está jugando el torneo en cuestión. El sistema SHOTLINK, lleva midiendo prácticamente el 100 % de TODOS los tiros y putts, que realiza un golfista del PGA Tour, en cada uno de los torneos de las últimas doce o trece temporadas. Gracias al mapeo total y detallado de las canchas y un sofisticado sistema de medición laser se han logrado identificar con exactitud las posiciones y distancias de millones de tiros y putts efectuados en el tour. Y, así, han calculado probabilidades exactas para determinar cuantos tiros promedio efectuan los jugadores desde cualquier distancia y lugar, ya sea desde los tees, desde los fairways, desde los roughs, desde los bunkers y desde cualquier lugar del green. Para ejemplificar usaré, en primer término, el caso del putt desde 8 pies, o sea, 2.44 metros. Si el jugador emboca el putt desde 8 pies, gana para su cuenta individual +0.5 golpes (hizo un putt cuando la media era 1,5, por lo que gana un +0,5.......1.5-1.0= +0.5). Un segundo ejemplo es un tiro de partida (drive) en un par cuatro relativamente largo, de unas 460 yardas, en que el standard o baseline estadístico del PGA Tour es hacer 4.250 golpes en ese hoyo. En nuestro ejemplo, nuestro jugador le pegó un gran drive por el medio de casi 350 yardas, quedando a una distancia de sólo 116 yardas al hoyo. El estándard o baseline estadístico desde 116 yardas al hoyo, desde el fairway, es hacer 2,825 golpes. Ahora bien, el cálculo de "Strokes Gained (lost) off the tee" estará, entonces, dado por la diferencia del standard de golpes para completar este hoyo, o sea, 4.250 golpes y el estándard para el tiro que le quedó para completar el hoyo desde los 116 yardas desde el fairway, o sea, 2.825 golpes. Asi: "Strokes Gained desde el tee", en este ejemplo, es igual a 4,250-2,825= 1.425-1 =+0,425 golpes , cifra que se agrega a la cuenta personal del jugador en esta categoría. El uno (1) que se resta es por el golpe efectuado por el jugador, y lo positivo del resultado se debe a que el jugador pegó un drive mucho más largo y derecho que el promedio, quedando muy cerca del green y del hoyo..
Al final del día se suman la totalidad de los "Strokes Gained (lost)" en cada categoría, para los 18 hoyos, y se tienen mediciónes de cuantos golpes se ganaron (o perdieron) respecto del standard, y también respecto del performance promedio de los jugadores participantes. Esta metodología se repite, con pequeñas variantes, para toda la gama de las estadísticas "Strokes Gained (lost)", vale decir "Strokes Gained (lost)" desde el tee, "Strokes Gained (lost)" al green, "Strokes Gained (lost)" alrededor del green, "Strokes Gained (lost) putting, "Strokes Gained (lost)" hasta el green y "Strokes Gained (lost)" Total. En resumen, el sistema SHOTLINK, al igual que sobre el green, tiene "mapeado" los golpes esperados de TODAS las distancias hacia el hoyo, con incrementos de una sóla pulgada. Lo que hacen estas estadísticas es comparar el número de golpes realmente realizados por cada jugador contra el estándard de golpes promedio esperados desde cualquier distancia de cualquier hoyo. Al final de cada ronda, y torneo,como ya dijimos, se hace un ajuste según la dificultad relativa de ese campo en esa jornada. Se garantiza, de esta manera, una medición muy exacta del performace real de cada golfista respecto del standard y respecto de los demás competidores, en una determinada categoría, ronda, torneo o temporada. Y para aquellos de ustedes que desean profundizar en el concepto, les comparto el siguiente link del PGA Tour que explica las categorías de medición, en detalle, y con ejemplos. 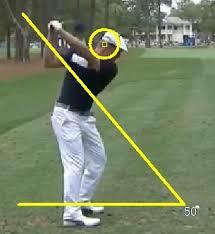 El artículo se llama STROKES GAINED......HOW IT WORKS. NIEMANN: ESTADÍSTICAS ACTUALIZADAS (40 rondas). SIMPLEMENTE NOTABLE ! 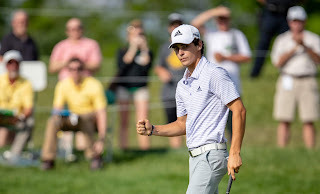 Anoche el PGA Tour al actualizar sus estadísticas post PGA Championship incorpora formalmente, y por primera vez, a Joaquín Niemann a todos sus rankings y estadísticas de performance. Al ser 40 rondas las consideradas, en las estadísticas tradicionales, es obvio que además de sus 38 rondas de 18 hoyos como profesional, también incluyeron sus 36 hoyos jugados en Abril, como amateur, en el Masters de Augusta. Vale decir, 32 rondas efectuadas en sus ocho torneos donde hizo el corte, 6 rondas jugadas en los tres torneos donde no hizo el corte como profesional, más las dos rondas en Augusta como amateur. Son decenas de estadísticas y ranking de todo tipo que aparecen en la sección STATS del excelente sitio www.pgatour.com y que seguramente serán analizadas en mucho detalle por el Team Niemann. A continuación sólo presento algunas de estas estadísticas. Las más relevantes a mi juicio. Las primeros son estadísticas de performance más tradicionales, y los segundos serán las estadísticas "duras" de la empresa SHOTLINK, asociada al PGA Tour, vale decir,"Strokes Gained (lost) total" y sus sub divisiones de "Strokes gained (lost) off the tee", "Strokes gained (lost) approach the green", "Strokes gained (lost) around the green", "Strokes gained (lost) tee to green" y "Strokes gained (lost) putting". Nota aclaratoria; Las estadísticas y rankings Strokes Gained (lost) no contemplan el MASTERS ya que SHOTLINK no tiene acceso a este torneo, por lo que las rondas consideradas para Joaco, en estos casos, son sólo 38. DRIVE TOTAL 70 2 Suma ranking dos ant. Los números, ahora con una muestra de rondas jugadas bastante mayor (40 rondas), son simplemente espectaculares. De diez que he elegido, Joaco está segundo en cinco de estos vitales ranking, y, al igual que hace un mes, sólo aparece muy abajo en la estadística de "salvadas del bunker", aunque presenta, en ella, un avance de unos veinte lugares desde entonces. Un resultado notable que explica claramente porqué aseguró su tarjeta "full" para la temporada próxima en tan poco tiempo. Lo que podemos observar es que la gran fortaleza de Niemann es su capacidad de hacer un altísimo número de greenes en regulación, gracias a un Total DRIVING (combinación efectiva entre distancia y aciertos de fairway desde el tee) tremendamente efectivo y gracias a una gran capacidad para dejar la pelota cerca del hoyo con sus fierros, lo que se traduce en una excelente cantidad de birdies convertidos por ronda. Esto, Joaquín lo logra capitalizar en un alto número de top tens y en uno de los mejores porcentajes promedios de score por cada 18 hoyos del tour. 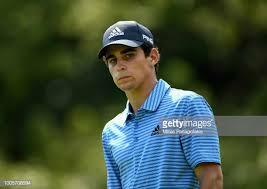 Niemann es segundo en el ranking PGA Tour en los siguientes ranking a la fecha: Greenes en Regulación, Driving Total, Proximidad al hoyo en regulación y Promedio de birdies por ronda. Y la natural consecuencia es que está cuarto en el ranking de score promedio por ronda con 69.4 golpes. 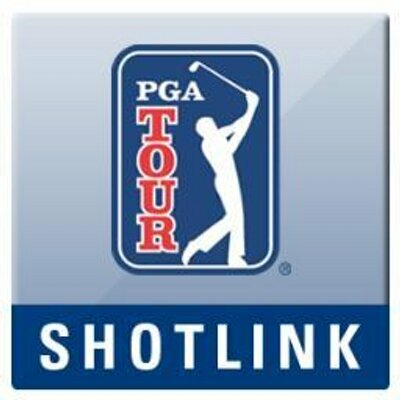 Primero tratemos de explicar con el máximo de simplicidad el concepto Strokes Gained (lost) del sistema SHOTLINK y que utiliza el PGA Tour desde hace varios años. El sistema SHOTLINK, administrado por la empresa de tecnología CDW; lleva midiendo prácticamente el 100 % de TODOS los tiros y putts, que realiza un golfista del PGA Tour, en cada uno de los torneos de las últimas doce o trece temporadas. Gracias a un sofisticado sistema de medición laser han podido identificar con exactitud las posiciones y distancias de millones de tiros y putts efectuados en el tour. En resumen el sistema SHOTLINK, al igual que sobre el green, tiene "mapeado" los golpes esperados de TODAS las distancias hacia el hoyo, con incrementos de una sóla pulgada. Lo que hacen estas estadísticas es comparar el número de golpes realmente realizados por cada jugador contra el estándard de golpes promedio esperados desde cualquier distancia de cualquier hoyo. 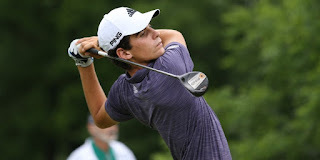 Se confirma, eso sí, que el muy buen desempeño de Joaco desde el tee, le ha permitido hacer actuaciones sensacionales con sus fierros, dejándose numerosísimas oportunidades para birdies desde cerca. Considerando su elevadísimo % de Greenes en regulación, resulta ser aceptable su lugar Nº 106 en el vital ranking de Strokes Gained Putting.......si se está tirando putts, todo el día, para birdie entre 8 y 25 pies, es sólo normal errar mucho. La estadística, Strokes Gained Total, donde Joaquín figura en el lugar Nº 15, sólo confirma lo visto en ese excelente porcentaje de score promedio por ronda de 18 hoyos de 69.4 golpes. Raya para la suma, los rankings y estadísticas del PGA Tour confirman este fenomenal año 2018 de Joaquín Niemann. Felicitaciones a Joaco y a todo el TEAM NIEMANN. Seguramente siempre se puede aprender y mejorar y, sin duda, las decenas de estadísticas que provee el PGA Tour y su sistema SHOTLINK son una fuente casi inagotable para seguir analizando y sacando conclusiones. Para nosotros los Chilenos, en general tan faltos de compatriotas en lo más alto del deporte mundial, tendemos a fanatizarnos cuando uno de los nuestros llega y se destaca. El Chino Ríos, Fillol, Cornejo, González y Massú, Alexis y la generación dorada del fútbol Chileno, son ejemplos de lo que digo. Y ahora ocurre que este Chileno (yo), fanático del golf de toda una vida, ha tenido la suerte de seguir, semana a semana, esta fenomenal campaña de nuestro compatriota Joaquín Niemann en el profesionalismo, y nada menos que en la cima del golf mundial. Logra cuatro top ten en torneos del PGA Tour y obtiene rapidamente su Special Temporary Membership que lo habilita a recibir invitaciones ilimitadas. Al poco tiempo logra suficientes puntos FEDEX para obtener membrecía full para la próxima temporada del PGA Tour, cosa que han podido lograr poquísimos golfistas en la historia del circuito. Es top ten en tres categorías estadísticas del Tour, y ahora, en su primer Major como profesional se dio el lujo, sin jugar su mejor golf, de aparecer un par de veces en el top ten de los tableros del Jueves y del Viernes, y, en definitiva, hacer el corte, con comodidad, para jugar el fin de semana. 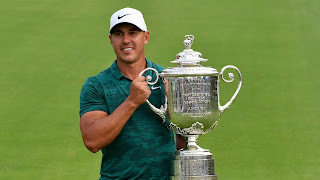 Pero, este es un BLOG sobre Golf Mental y, entonces, me permitiré hacer comentarios, también, sobre el gran triunfo de Brooks Koepka en este PGA Championship, y el porqué no me sorprendió para nada su victoria. 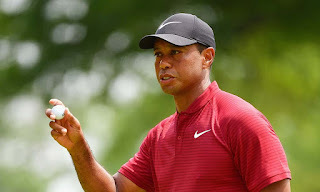 Y también me permitiré hacer unos comentarios sobre este magnífico segundo lugar de TIGER WOODS y lo que significa para su futuro estas excelentes actuaciones en los dos Majors finales del año. Y para finalizar, algo sobre lo logrado por Joaquín Niemann y porqué creo que este brillante inicio en el profesionalismo ha sido tan bueno para lo que probablemente vendrá para él, y su Equipo, en los proximos meses. Dije más arriba que no me sorprende para nada su victoria en este PGA Championship y les voy a contar porque. Nadie tiene más confianza en su juego que él. Anoche lo dijo entre líneas en su conferencia de prensa: "I HAVE A LOT OF SELF BELIEF". Cuando ganó, en Junio pasado, su segundo US Open, escribí un artículo llamado: "KOEPKA repite en el US Open: confianza bendita confianza", que, lamentablemente, tuvo relativamente poca lectura, creo yo, porque Koepka es el menos conocido y poco carismático de las actuales estrellas del golf, algo que debiese cambiar ahora. 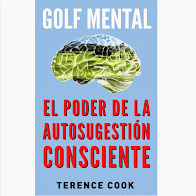 En ese artículo explico el concepto crucial del Golf Mental que es la "Grabadora Golfística" (Mente Inconsciente) y como hay pocos en el mundo que la alimentan tan bien como Brooks Koepka. Y el combustible esencial para la "Grabadora Golfística" es la confianza. Al finalizar el torneo WGC, el Bridgeston Invitational, de la semana pasada, Koepka, comentó que jamás le había pegado mejor a la pelota como en ese torneo, y que lo único que debía hacer era afinar un poco su juego de putt para tener gran opción en el PGA Championship. Un manejo extraordinario del "Momento Presente" para superar la presión y jugar los tiros claves con gran fortaleza Mental. "Un sólo tiro a la vez, quedarse en el Momento Presente, no pensar en el pasado, no pensar en el futuro, sólo pensar donde uno está ahora mismo,,,,,,,,,en el momento", dijo Harmon. "Nadie pensaría que gallos como D.J. y Brooks personificarían lo que hablan los psicólogos deportivos.......pero realmente lo hacen". Calm. Collected. Confident. That is the description of @BKoepka. He didn't seem aware of anyone else on the golf course. That’s what you need to do in a major. Brooks had several opportunities to give @pgachampionship away and he was not even close. Solid as a rock down stretch! Espectacular lo de Tiger para rematar segundo. Fue el mejor jugador del fin de semana con sólo 130 golpes, o sea, diez bajo el par. Confieso que nunca pensé que Tiger podía ser el mismo de antes y volver a ganar Majors. Ahora me convencí que sí lo puede lograr, y si no gana Majors, si debería ganar varios torneos regulares del Tour. Yo era escéptico porque no se había visto una mejoría en su nivel de enojo y frustración en cancha, y, por otra parte, me parecía que en algunas instancias planificaba mal y con exceso de agresividad ciertos tiros. Pero sus actuaciones en el Open y el de este PGA Championship me demuestran que sí puede ganar.....y mucho. Sólo debe mejorar sus tiros desde el tee. Y volviendo al tema confianza, veo a un Tiger cada vez más confiado en su juego. Y me gusta su discurso el que me parece ahora confiado, positivo y optimista, sacándose la presión: "Hace ocho meses no sabía si iba a poder jugar......he avanzado enormemente lo que me tiene feliz." Punto aparte es la gran convocatoria de Tiger, y su supremo valor para el PGA Tour, y los auspiciadores del circuito. Cuando está Tiger en la pelea los fines de semana, practicamente se duplica el rating. Respecto del año anterior CBS, a cargo de la transmisión televisiva estelar de este fin de semana informó de aumentos de rating promedio del orden del 67% respecto del año anterior. Y siguiendo con el tema confianza, Joaquín, y su Equipo, la debe tener por raudales......y seguramente "disfrutando el proceso", como les gusta decir en EM Academy........y disfrutando enormemente, creo yo. 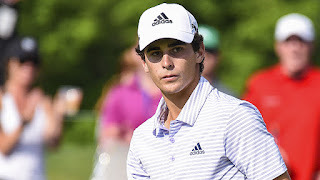 Es que este aterrizaje de Joaco en el PGA TOUR, objetivamente no pudo ser mejor. En once torneos como profesional, 38 rondas jugadas, Niemann obtuvo el mejor premio de todos.......la membrecía full al PGA Tour temporada 2018/2019, la que se inicia a principios de Octubre próximo. Y algo muy importante.....se le vió muy cómodo en el ambiente del PGA Tour. Me parece que por su carácter y gran golf se ganó a sus ahora pares. Este es un Club sumamente exclusivo y sentirse "pertenecer" es algo crucial.......y Joaco lo ha logrado en un tiempo brevísimo. Esta semana Joaco juega el último torneo de la temporada regular de la temporada 2017/2018 y, tal como lo informa el propio jugador a EMOL en entrevista hoy día, se toma vacaciones por el resto de Agosto, y, seguramente, una buena parte de Septiembre. Lo único que pudiese cambiar los planes es que se llevara la victoria esta semana, lo que le daría derecho a ser miembro inmediato del PGA Tour y jugar los play offs de fin de temporada, en las semanas siguientes. En dicha entrevista Joaco hace referencia a un objetivo que no me sorprende dado su notable rendimiento de estos cuatro meses. Ganar un torneo en lo que resta del año calendario 2018. Los resultados, la confianza ganada y lo aprendido en estos 12 torneos (Masters incluido) jugados desde Abril a la fecha, le permite a Niemann,sin duda alguna, estar en la pelea por títulos en los próximos meses. Se viene entretenidísimo el golf en la cima de los próximos meses. Como lo dijo el mismo Koepka, entretenidísimo por lo competitivo que está la cima del golf mundial.......y porque además está Niemann, digo yo.